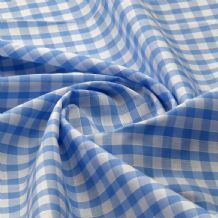 Gingham is a medium-weight balanced plain-woven fabric made from dyed cotton or cotton-blend yarn. 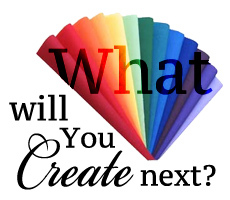 It is made of carded, medium or fine yarns, where the colouring is on the warp yarns and always along the grain (weft). 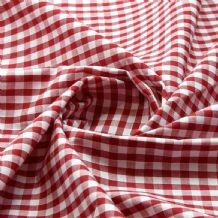 Gingham has no right or wrong side with respect to color. 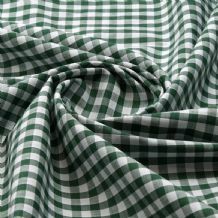 Along with muslin, gingham is often used as a test fabric while designing fashion or used for making an inexpensive fitting shell prior to making the clothing in fashion fabric. 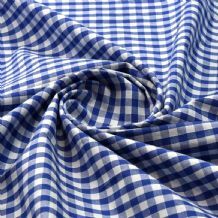 Gingham shirts have been worn by mods since the 1960s and continue to be identified with fans of indie and mod music with brands like Lambretta Clothing, Ben Sherman, Fred Perry, Penguin and Merc producing gingham shirts. Quality Fabrics © | 2016 | All rights reserved.